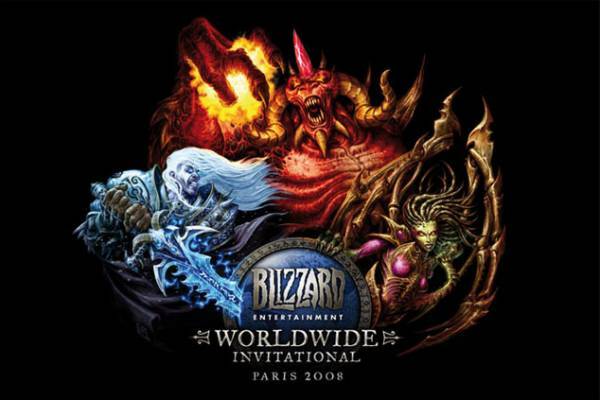 From June 21-27, 2008, the week preceding Blizzard’s WWI event in Paris, the Blizzard web team posted a new splash image each night at midnight, on blizzard.com. These images progressed in sequence, and showed what appeared to be a wall of ice. Each day the hole in the ice grew larger, another mysterious rune was added, and faint traces of a demonic face appeared in the opening. In addition, the CSS code of the main Blizzard page contained links to a new hidden image each day; images that turned out to be six pieces of a cartoonish purple penguin. This article was updated each day during that week, and compiled all the various rumors and wacky theories about the splash images, the hidden images, and what it all meant. Now that the fun is over with, this page provides a summary of events, for posterity. All the images excerpted on this page, and many more from the week of rumors, can be seen in our Pre-WWI splash screens and hype gallery. Part of the Diablo III anticipation stemmed from this big image; the official WWI artwork. While some saw Diablo’s prominence as a tip off that he’d be the star of the show, others took the opposite approach and concluded that Blizzard was putting big red on the poster as a sort of an apology for not including a Diablo game in their current roster. With the World Wide Invitational just a few days away, Blizzard commenced posting a new splash screen each day on Blizzard.com. They’ve done this in the past before new game announcements, (but not at any other times), and since the official schedule for the WWI lists just the WoW expansion and Starcraft II, fans are feverishly speculating on what these splash screens could mean, and digging through the clues revealed within them. The first splash screen, entitled ice1.jpg, went online Monday evening, June 23, 2008. It shows what appears to be a blueish sheet of ice or crystal, but there are some faint symbols visible within the image. Fans quickly focused their attention on the rune in the ice, and began to furiously debate what it might mean. It resembled a rune on a sword from some WoW promotional art, but was also quite close to the Shael and Sur runes from Diablo II. The debate for several days, until sharp-eyed fans noticed that the first rune had been changed after the second day’s image. Not the rune itself, but the cracks in the “ice” that ran behind it were modified, so the rune more clearly matched the one on the Lich King’s sword. It seemed likely that Blizzard meant that rune to represent the one on the WoW sword, and modified it slightly when they saw player analysis and realized it wasn’t as unmistakable as they wanted it to be. The second splash screen, entitled ice2.jpg, went online Tuesday evening, June 23, 2008. It’s an updated version of the first screen, and clearly the ice is cracking open in the center, as if something beneath it were trying to break through. Another rune was been added, and it clearly matched the Hel rune from Diablo II. What this meant, no one was certain, and debate was still raging over whether the first rune was from WoW or D2. The third splash screen advanced the debate only slightly. The hole in the ice was a bit larger, and it looked like stars could be seen through it, as well as light. Was this an indication that the view was looking up, through some sort of frozen ice floor? 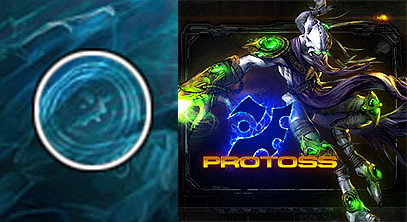 The 3rd rune was the easier yet, and was almost immediately identified as the Protoss symbol, as seen on Blizzard’s new Starcraft II site. The fourth splash screen added a 4th rune, and greatly enlarged the hole in the ice. Some players were sure they saw the shape of a demon’s head in the opening and the smoke, and there are definitely two crescents of stars right where the eyes would go. 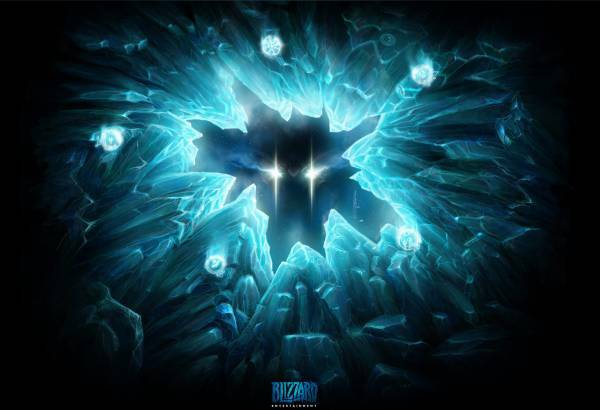 Fans superimposed various images on top of it (diablo skull, d2 box, Arthas), but this seemed only to prove that it was possible to resize any image of a face and get it to fit the hole in the ice and the two “eyes” visible within. The Rune was the most mysterious yet, and there is still no consensus over what exactly it was meant to represent. It’s symbolic; the first 3 runes represented the 3 Blizzard game worlds, and this rune just shows them together, orbiting in the same solar system. It represents the Arcane Sanctum, a building seen in the Warcraft 2 and 3 games. It represents Pax Imperia, a game Blizzard worked on, but did not release. It represents The Lost Vikings, an old Blizzard title made for the console and recently re-released for new platforms. 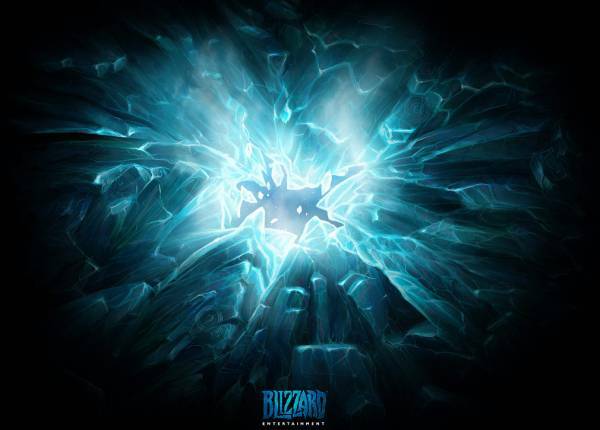 It’s a sign that the new game announcement will combine elements of all 3of Blizzard’s game worlds. The fifth splash screen added more detail to the “face” through the ice, but the visage was still ambiguous enough that the debate grew yet more heated. The fifth rune was another ambiguous icon. The 4 lines overlapping into a sort of eight-pointed star is a familiar icon, commonly found on compasses and maps, and used in numerous video and computer games. 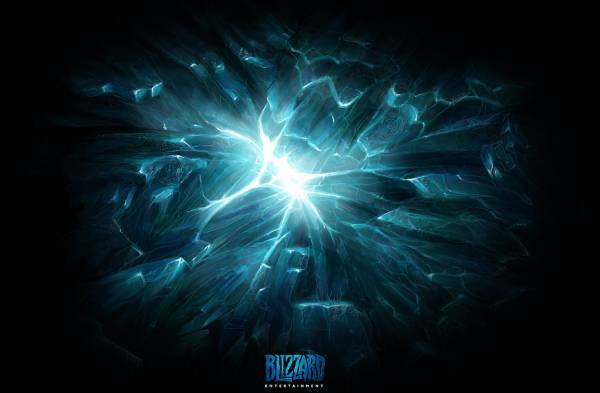 It looked like a snowflake, and was widely thought to be a reference to Blizzard. It also matched an icon from Blizzard’s The Lost Vikings game, as seen here. There were numerous theories at this point, but with almost unanimous agreement that the first three icons matched WoW, D2, and SC2, only the 4th and 5th runes were contentious. [*]The 4th was a reference to all games from all 3 Blizzard game worlds appearing at the WWI, and the 5th was a reference to the company itself. All 5 runes represented different Blizzard games; the 4th was Pax Imperium and the 5th was Lost Vikings. It’s not clear, even now, which theory, if either, was correct. Both fit the available evidence fairly well. The main point against the first is that the 5th “blizzard” rune is largely irrelevant or redundant. The main point against the “five games” theory is that the first 3 runes proceeded in chronological order, and then the 4th and 5th were well out of it. Furthermore, it seems odd to put up the big 3 blizzard games first, and then follow with 2 others so old and obscure that most fans don’t remember them. Friday night brought a sixth splash screen, entitled “icefiveandahalf.jpg” It was no different than ice5.jpg, except that the 5 runes were glowing, the face in the hole was more defined, and a 6th non-glowing rune, of a winking smiley face, was added on the top right. To some players, this cinched it. The 5 glowing icons were an obvious reference to the 5 seals that had to be activated in the Chaos Sanctuary, in Act Four, to make Diablo appear in Diablo II. Others still argued alternate theories, but most of our readers (who were admittedly pulling for Diablo III all along) were convinced. The happy news came a few hours later, when the WWI kicked off in Paris, and Diablo III was announced. There was no seventh splash screen, and the sixth was replaced with a flash animation announcing Diablo III. 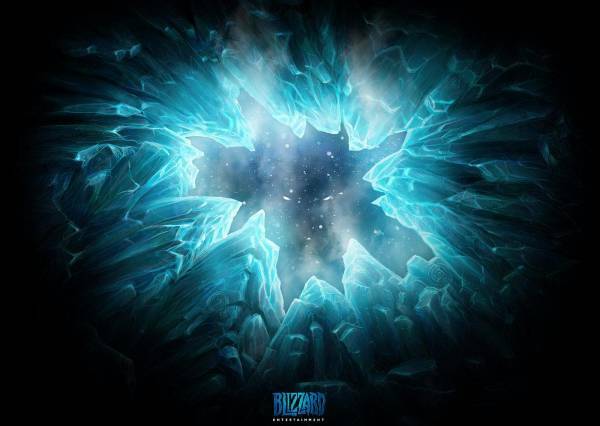 In addition to the splash images, Blizzard inserted clues into the CSS source of the splash image page, clues that pointed to additional images on their server. 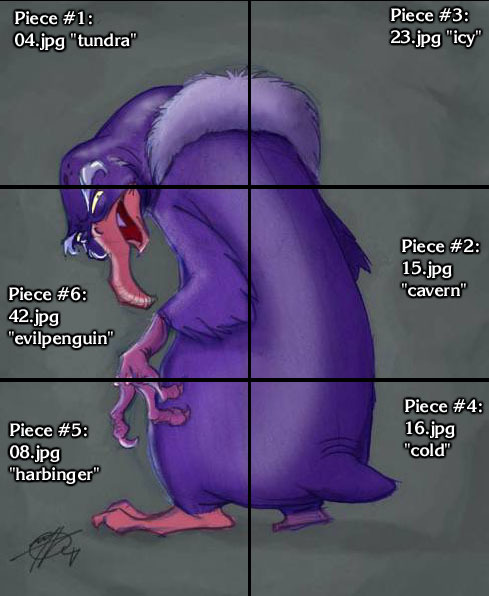 There was one image added with each splash image, and together they formed the cartoon image of an ugly purple penguin. There’s still debate about what this thing is; the D3 team didn’t know when asked at the WWI, so quite possibly it’s just an inside joke by the Blizzard web team. It doesn’t seem to have any relevance to Diablo III, at any rate. This didn’t settle any arguments, since the whole point of those numbers on the show is that they have multiple mystical kismet-like meanings. But it did seem to disprove any alphanumeric connection to the numbers, and led most players to assume we’d see an 8 and a 42 next. And we did, seemingly confirming that the numbers were taken from Lost; a show of which Blizzard employees are known to be fans. Another theory about the numbers is that they spelled out a secret phrase when the two digits were converted to letter values in CSS code. This yielded the following, up through the first four letters, when the theory had its greatest potential. This gave the letters TYREILO, which enterprising players quickly rearranged into the phrase: TYR_EL I_ LO__ (TYRAEL IS LOST). This tied in nicely with the presumption that the plot of Diablo III would center on the archangel Tyrael. Sadly for this theory, the next two image names did not yield letters that would be slotted into this phrase. Ironically, the “Tyrael is lost” phrase actually does match a major element of the Diablo III plot, as revealed at the WWI. Tyrael has not been seen or heard from since he destroyed the Worldstone at the end of D2X, and as far as the humans in the story are concerned, he is lost. Whether this is just a weird coincidence, or was something the Blizzard guys thought of and encouraged with the order they elected to release the images in, may never be known. Whether the names and numbers meant nothing or anything, the final image was at last assembled, and you can see it here. This monster from some WoW concept art looked like a potential match for the purple beast after the 2nd day, but with the third image it was no longer a realistic possibility. Even less likely than Jormungar was this cartoonish walrus; the iconic image of ex-Blizzard North artist Michael Dashow. Mike was a key artist on D2, designing the Barbarian and Sorceress, along with several monsters, but he left the company in 2005 when Blizzard North shut down. Even if he’d never left, or had returned at some point, there was never any logical reason advanced why his name, or especially his purple walrus, would be revealed by the hidden splash images. WWI Schedule -&nbsp; A New Game Announced?